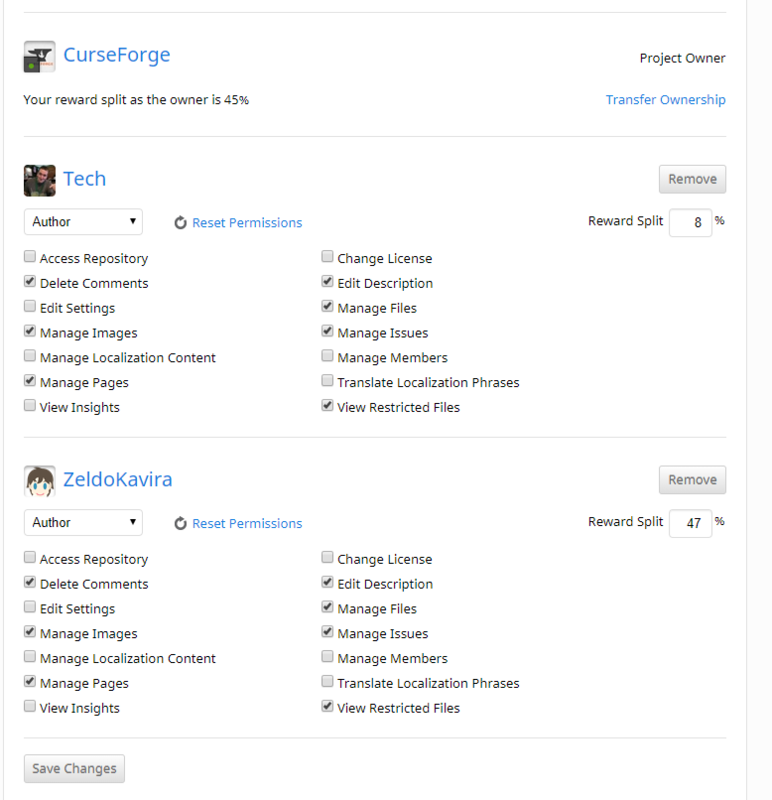 For projects with multiple contributors and authors, you will want to add them as project members so they can help maintain and update your project. In order to do this, navigate to the project's home page on the game site. 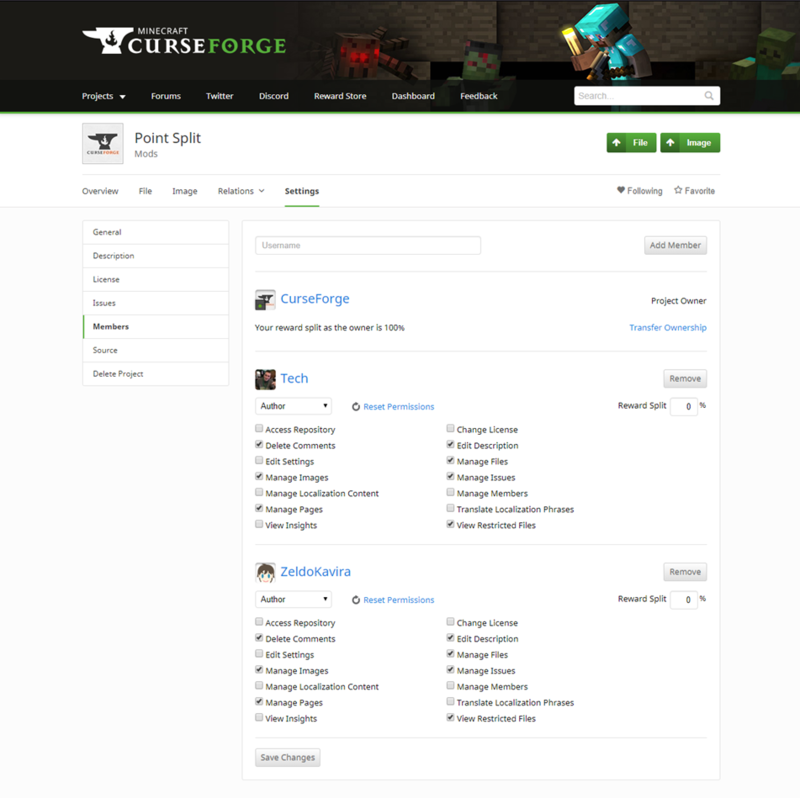 In this example, we will be adding members to a Minecraft Mod Project. From here, you will want to navigate to the setting page via the "Settings" button in the navigation bar. Now navigate to the Members Tab through the left hand navigation bar. This will bring you to the management screen for all members, their permissions and their point share percentages. Once all of the project members have been added, you will have a page similar to the one below. 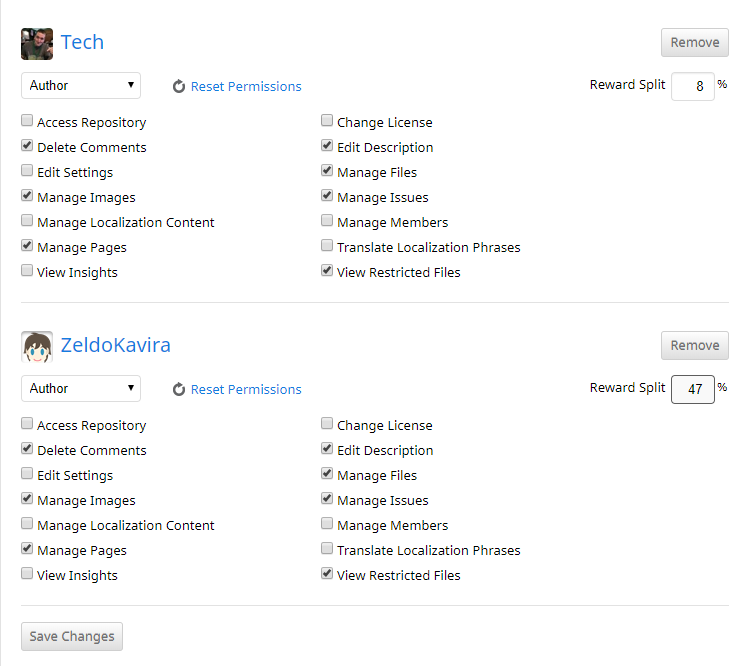 From this page, you will be able to manage the permissions point splits of all project members. In order to distribute points to your project members, you will want to use the Reward Split field next to each of the members names. This will distribute the projects daily reward point generations to each member of your team based on the percentages you enter. In this example, we will be giving ZeldoKavira 47% of the point generations and we will be giving Tech 8% of the point generations from this project. First, enter the wanted percentages for each member in the Reward Split Box. Now you can simply click the "Save Changes" Button at the bottom of the page and the reward split will be added to this project. After saving, the page will now show what percentage the project members are getting, along with the amount the project owner is getting.